I’ve just remembered this post which I first published four years ago on my blog ‘From Pyrenees to Pennines’. It tells much of the story of my year or so at my first school in a small North Yorkshire village. I’ve remembered more since, and found a school photo, but I’ll have to show you that in my next post. Watch this space. 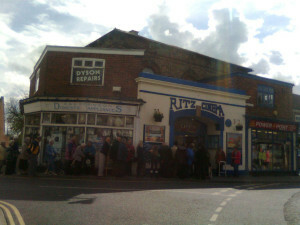 We went to Thirsk, our next nearest market town this week, to the cinema. Nothing remarkable about that – to anyone but me. Isn’t it strange how things that seemed huge in our childhood memories are much diminished when we visit them as adults? An interesting glimpse into a different time and place and what a change it must have been for the whole family to move to London – and what a relief for your parents to be able to pursue their chosen professions. Oh, there’s plenty of drama to come.